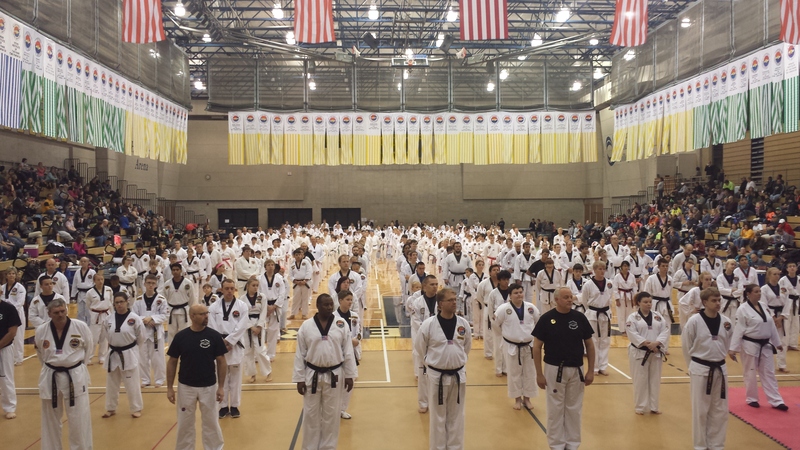 On November 6, 2015 World Class Tae Kwon Do hosted the Tae Park Taekwondo Black Belt testing followed on the 7th by the World Class Championships. 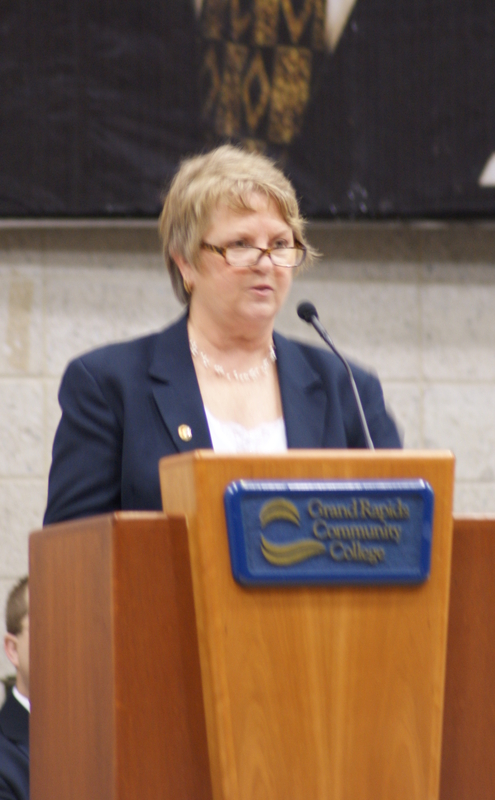 The events were held at Grand Rapids Community College Ford Fieldhouse in downtown Grand Rapids. On Friday evening, 43 members of Tae Park TKD did their final phase of black belt testing for levels of black belt 1-3 Dan. Senior Master William Golombisky and his support staff organized the testing which ended with each Institute under the umbrella of Tae Park TKD awarding the new black belts to the test candidates with their certificates. The event was followed by a Masters meeting held at the Fold Fieldhouse in preparation for the following days tournament. The event had 453 event entries, a fantastic showing, surpassing last years event! 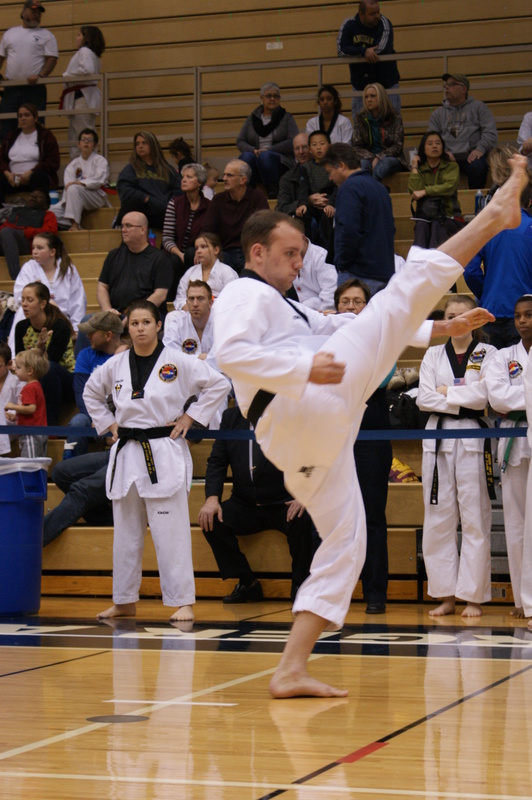 A new event ‘basic kicking’ was introduced and directed by Master Lemon Williams II with 35 competitors entering the event. 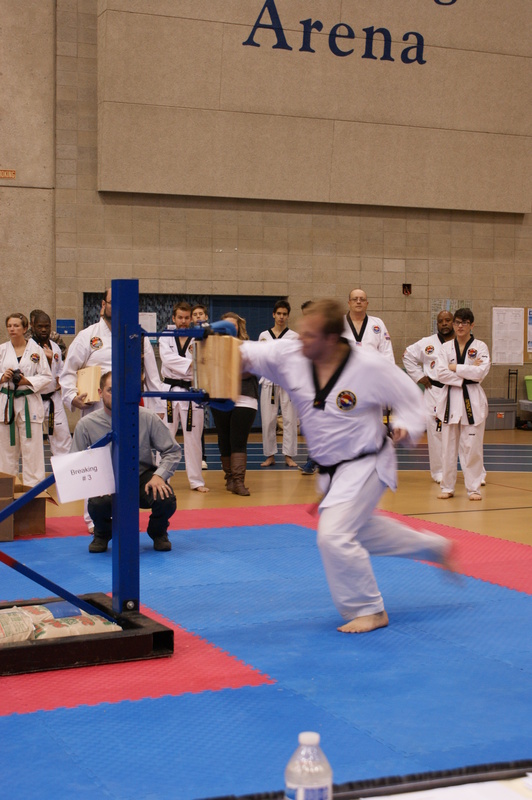 Other events that were offered were Board Breaking directed by Masters Troy Eckert and Larry Arthur. 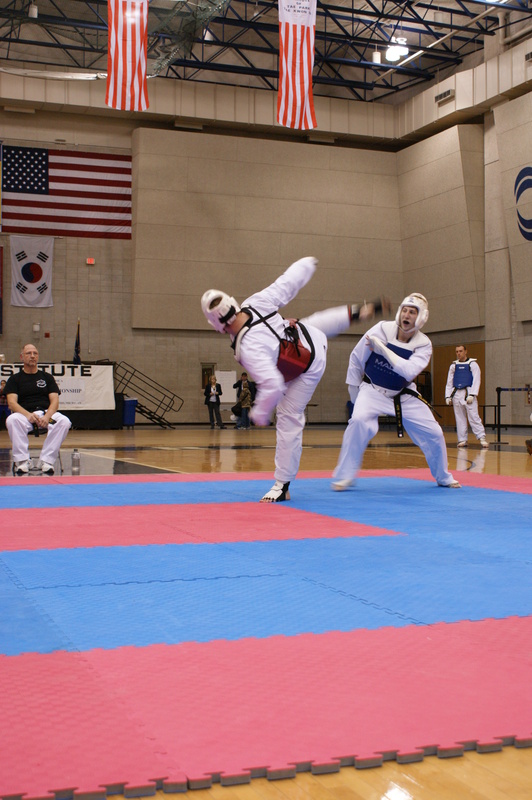 Traditional events of forms, one-step sparring and sparring were also offered. 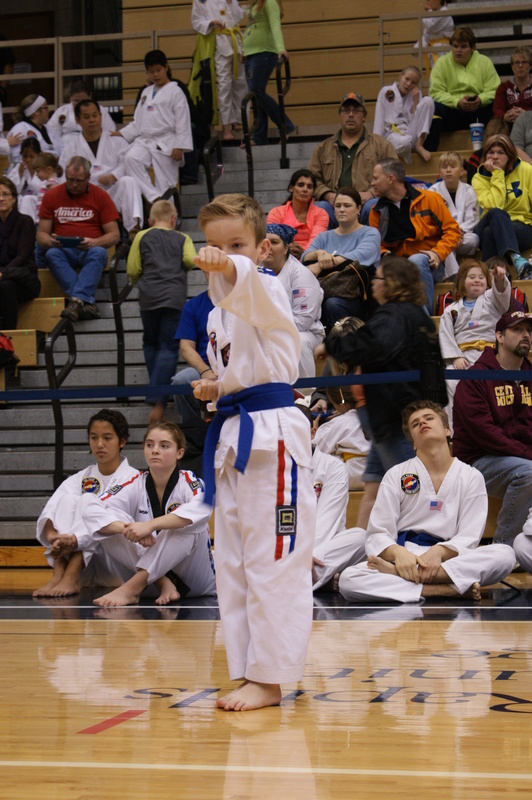 As an opportunity to be ‘The Best’ WCTKD offers the events of Grand Champion (18 and over) and Junior Grand Champion (15-17) in both male and female divisions. To win these coveted events you must collect the most cumulative points in the three events of 1. Breaking 2. Forms and 3. Sparring. 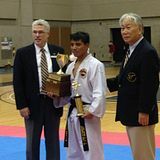 This years event was dominated by Lewis Institute of Tae Park Taekwondo Mid South Taekwondo Association participants who took home Grand Champion Male (Mr. Sebastian Alonzo-Warmath Institute) and both male and female Junior Grand Champion (Ms. Kaitlyn Howard-King Institute and Mr. William Forlifer-King Institute). New York’s Nicole O’Grady-Good Institute, took home Grand Champion-female. Competitors traveled from across the US to participate from the states of: Tennessee, Kentucky, Alabama, Ohio, New York, Kansas and of course all over Michigan. Plans are already underway for November ‘2016’ . Thank you to all who attended participated and worked so hard to make this event a huge success. Also Thank you to Jennifer Eckert for take so many of the photos for us. Please join me with Junior Grand Master Mark Good in congratulating Mike Droste on being awarded the “2015 (Male) Athlete of the Year” from this year’s Meijer State Games of Michigan! Great job Mike, keep up the hard work. This years event is shaping up to be even more exciting than previous as we offer new events along with the traditional. Click here to register for the tournament. Area hotels are offering discounted rates, Click here to email/contact Mr. Erik Veen for details. The goal is to exceed last years ‘437’ registrants! 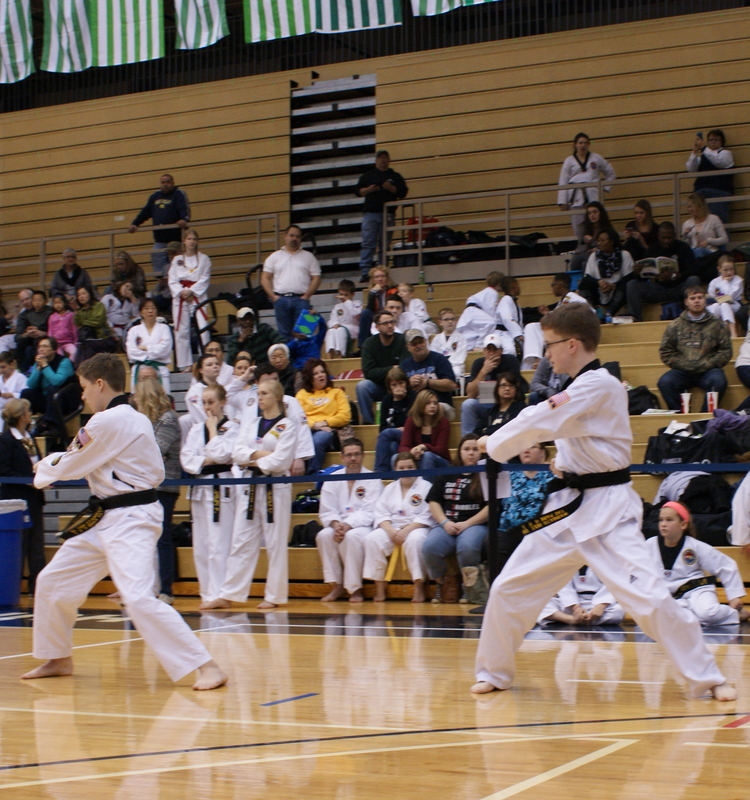 We are Michigans Premier Traditional Tae Kwon Do Event! Tournament open to ‘Tae Park Taekwondo’ members only!! On-line Tournament Registration Is Open! 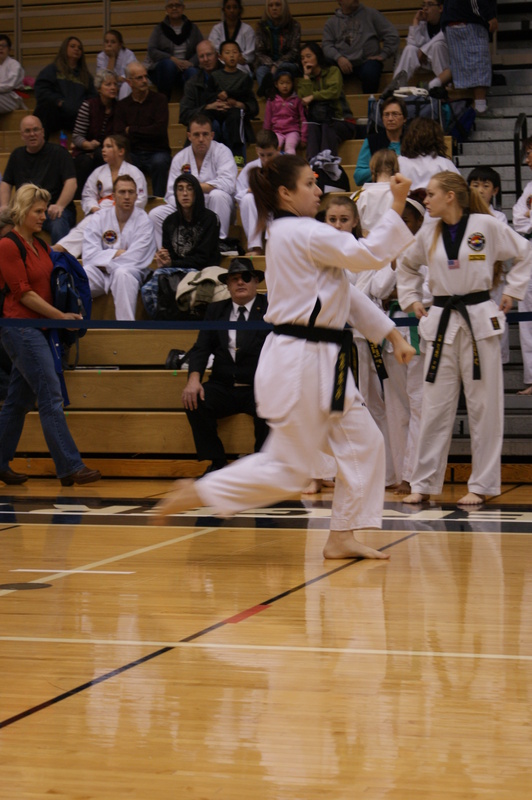 This is the link that will be used to access on-line registration for the 2015 WCTKD tournament. In preparation for the upcoming 2015 World Class Tae Park Tournament, Master Harshbarger and I would like to communicate a couple referee training opportunities. Review and practice proper WTF hand commands for sparring referees. Includes: starting, breaking, continuing and stopping a match. How to issue penalties and award and announce match winners. These referee trainings will serve as a refresher to all of our current referees and as a development opportunity for future referees. Continuous training is needed for us to maintain a safe and well run event. This training will also help us work to be more consistent across all of the rings. These will be the only two referee training opportunities this fall, so please try to attend one of the two sessions. This is a great opportunity for us to ask questions and ensure we are all uniform when it comes to our events! Thanks and I hope to see you all there. Grand Rapids MI at the GRCC – Ford Fieldhouse. There were over 450 competitive events! 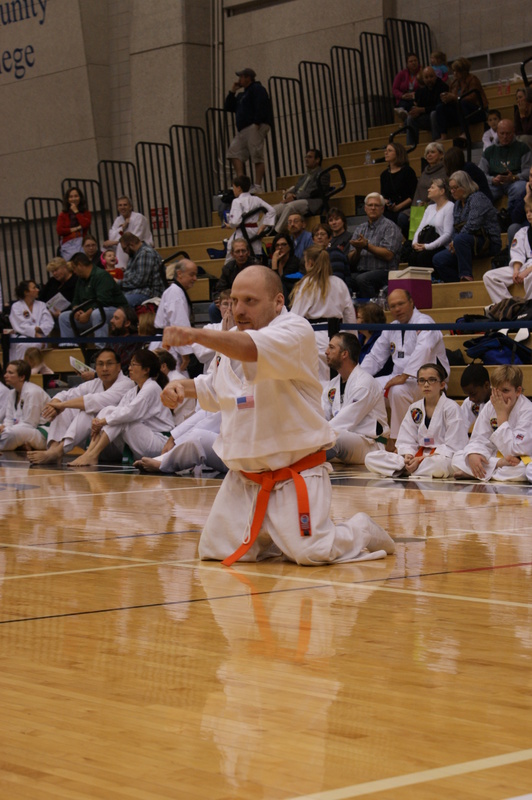 Over 30 Master Instructors ranging in rank from 4th Dan to Grand Masters were on hand to Celebrate the 40th year of teaching in the United States for Grand Master Tae Zee Park. Special guests included students from the first class started by Grand Master Park in 1974. A special after-party was held at The Bluffs and a sold out crowd! See you in Tennessee in March 2015! Some of Grand Master Park’s original students. Grand Master Park and Warren with Grand Champion. Grand Master Warren with Team Form Winners. Competitor of the Breaking Competition. Grand Master Warren with another Grand Champion. Grand Master and Junior Grand Masters seat to judge Team Form and Grand Champion Competitors. Grand Master Warrn with the test photo of the original black belts. 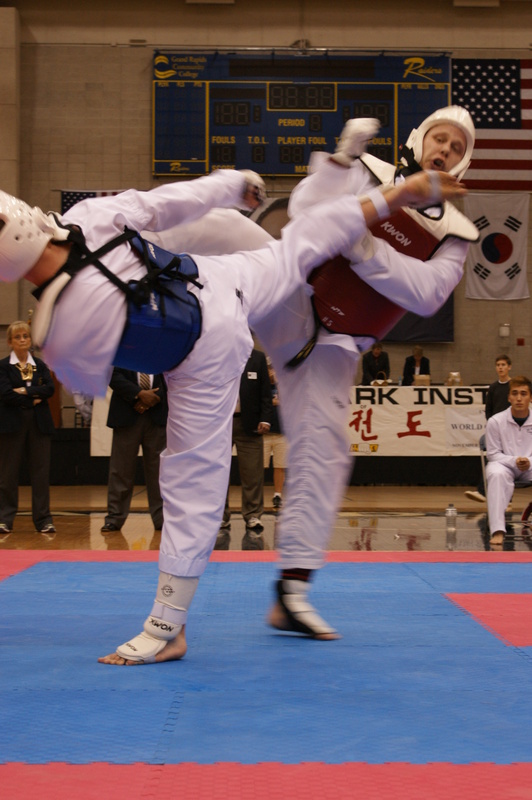 Announcing the 2015 Tae Park World Class Taekwondo Championships will be held on November 6-7. 2015. Tae Park Taekwondo-World Class Championships! This weekend, on November 8, 2014 we will be hosting a Celebration in appreciation of Grand Master Tae Zee Parks teaching in the United States for 40 years. This event is expected to have 400-500 competitors entered and features special guests which include some of his Original Students from his first class in 1974 from Jackson Michigan. Those Original Students attending include: Grand Master Richard Warren, Junior Grand Master Mark D. Good, Junior Grand Master Lynn Bernard, Senior Master Bruce Park Sr., Master Merwin Wittum and Mr. Ronnie Parker. 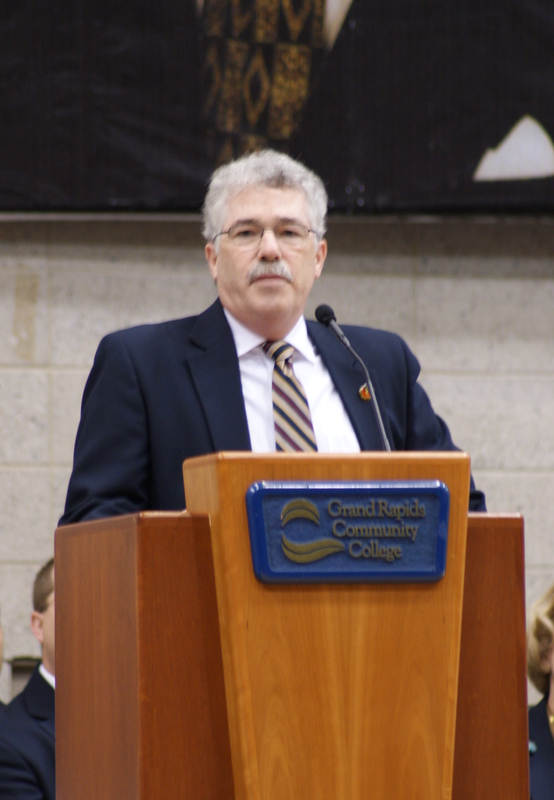 The Grand Rapids Police Chief, Mr. David Rahinsky, is a special guest in attendance as well. This annual event will feature competition in forms, sparring, breaking, team events as well as a special Junior Grand Champion and Grand Champion Divisions. The public is welcome to attend. Admission is $5 for adults and $3 for children. Door prizes will be awarded every half hour during the competition to the paying spectators this year!. This years event will focus on the 40th year if Grand Master Park teaching in the United States AND we will be celebrating the importance of our Spectators! Master P. Ramos will be conducting drawings every 30 minutes beginning at 1 PM for Spectators! You must be present to win and the numbers will be announced on the half hour and posted at both ends of the arena. Winners will have 30 minutes to claim their prize before it is re-drawn for another winner!! REMEMBER TO RETAIN YOUR ADMITTANCE TICKET STUBS FOR WINNING NUMBERS!!!!!!!!! have enough material and size for the competitors. This applies to all types of breaking, including the Grand Champion Division. Click here to read the breaking rules. required for any color belt competitors meeting the age requirement. Preparations are underway for the upcoming November tournament. 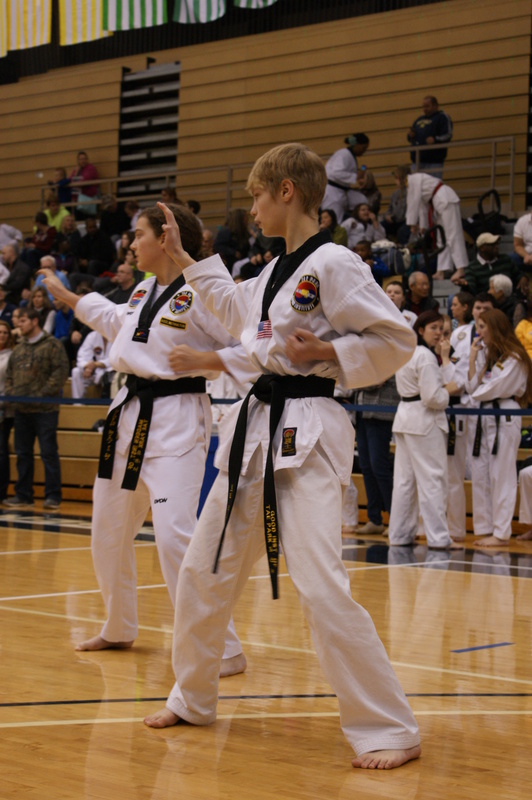 Black Belt Testing to be held on Friday November 7, 2014. Tennessee, Kentucky, New York, Arkansas, Ohio and Kansas to Michigan to compete. 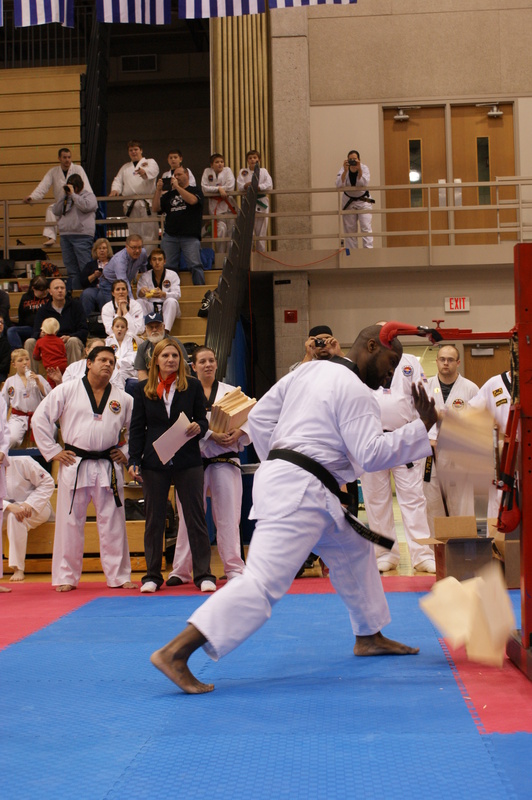 The goal for this year is 500 competitors total in the events of form, breaking, sparring. 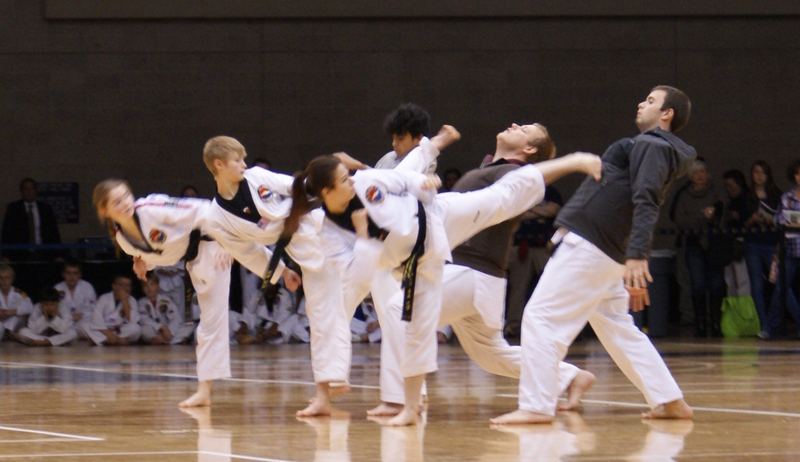 and the events of team form for taekwondo student members to enter. Hope to see you and your families there. as the Tae Park Taekwondo 2014 World Class Championship Tournament. Both tournaments will be held in Grand Rapids, Michigan. which includes spectators and participants of both events. Additional benefits are available with specific advertising packages. See advertising brochure for additional details. For additional information or to become a sponsor, please contact Mr. Dan Driessche at dcc-creativecom@comcast.net. Click here to see the advertising brochure. Thank you is never be enough but that is what we will say to all of you for your valued support of the ‘Tae Zee Park TKD-WCTKD Championships’ that were held on November 9,2013 in Grand Rapids, Michigan. 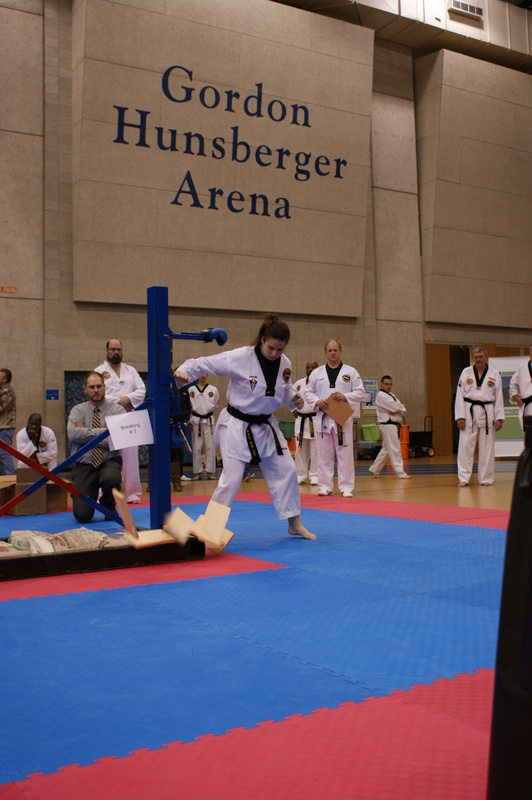 This years event featured over 360 competitors who had the opportunity to register online for events consisting of: poomsae, sparring, one-step sparring, and power breaking. Over 30 Institutes were represented in this years event that offered new and exciting additions to the program. The Junior Grand Champion and Grand Champion Divisions for Males and Females as well as the Organization Trophy that will record the winners and allow us to have a running history of our annual premier event. We have also improved our Power Breaking completion under the leadership of Master Troy Eckert to have 2 machines in operation and our Emcee, Mr. Ernie Coles, was on location to keep our spectators advised of the events participants and their accomplishments. 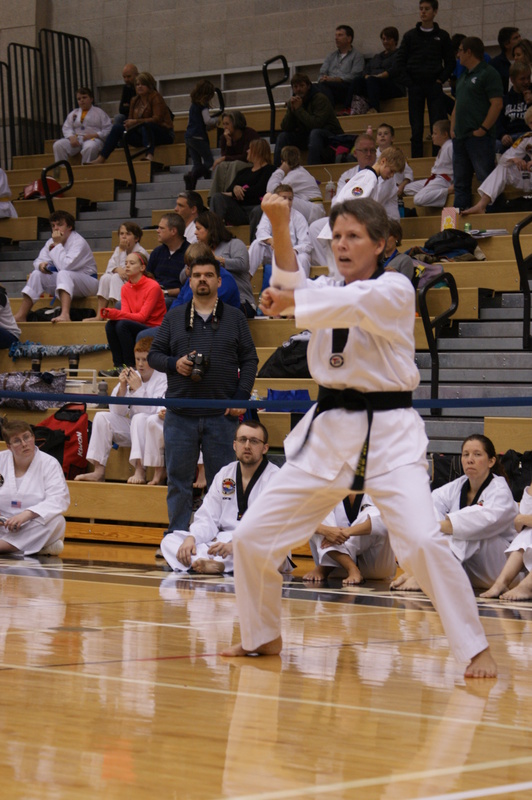 This years event was also a mark in history for the Organization as the first woman Tournament Director, Master Susan Lofquist, took over the reins from Junior Grand Master James Rodgers who had led this event for over a decade! Grand Master Richard Warren with special guest and founder Grand Master Tae Zee Park were in attendance to share in the days excitement and festivities. Master Valerie Lucas organized the intermission entertainment with special taekwondo demonstrations from the great states of Tennessee, New York and of course Michigan. The after party was, once again, held at the ‘Bluffs’ in Grand Rapids, Michigan and served over 200 people who came together to celebrate, share stories and confirm friendships from the days events. Master Randy Wrona, who was Director of Registration, was also the host at the party and, as always, made sure everyone in attendance had a great time. DJ, Mr. Jason Berciunas, did a fantastic job providing music for young and old. As Tournament Director I want to offer my sincere ‘Thank You’ to all those who worked so hard to put on this event as well as to all the competitors and families who came together this year to make this event so successful. Hope to see you all back next year for more fun and love of ‘Tae Kwon Do’! Michigan at the Gerald R. Ford Fieldhouse. (directed by Master Troy Eckert) and the new Junior Grand Champion and Grand Champion Divisions. 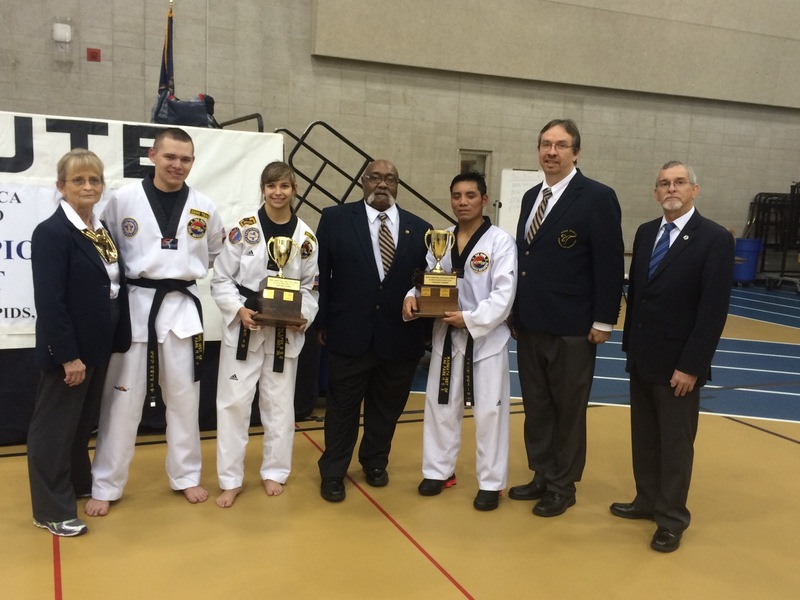 Master Susan Lofquist (Board member WCTKD) and Grand Master Richard Warren (President-WCTKD Board) were delivered. in regards to a life of practicing taekwondo. 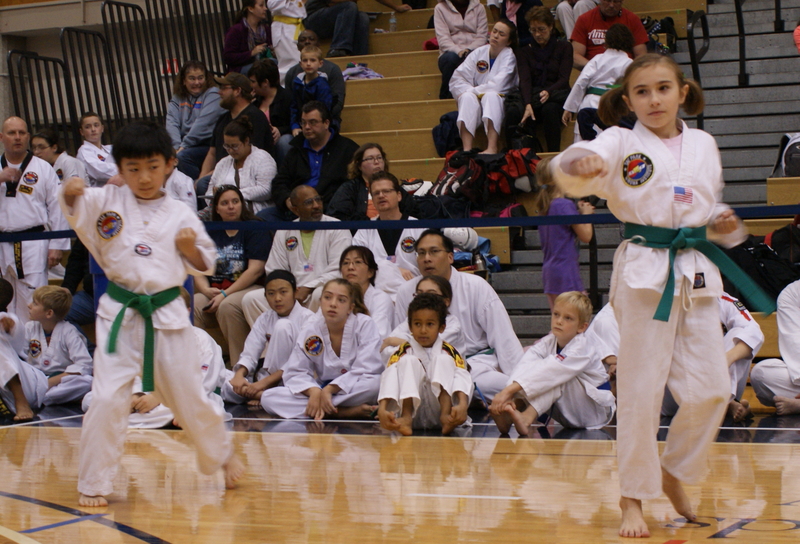 now includes Green Belts (15 years and up). These are photos of our new Masters for 2013. Sparring, Form, and Team Form competitions. 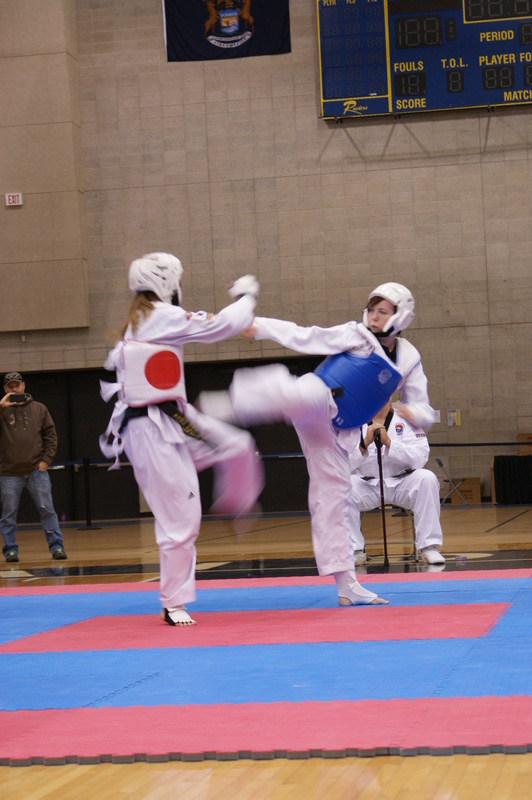 These are photos of the sparring competition. Click below to download rules. Power Breaking Rules (Updated 10/25/2013). Remember that you must register by midnight on 11/1/13! Power Breaking Permission form for color belts. Remember must have this form completed by you and your instructor and ready to present at the competition. If you do not have it then you cannot compete! Join us for the after party! $7.00 per person and includes a served meal with beverages. More details to follow!! Get training now for the next great competition! This national event was recently held (August 2-4) in Hershey/Harrisburg Pennsylvania. 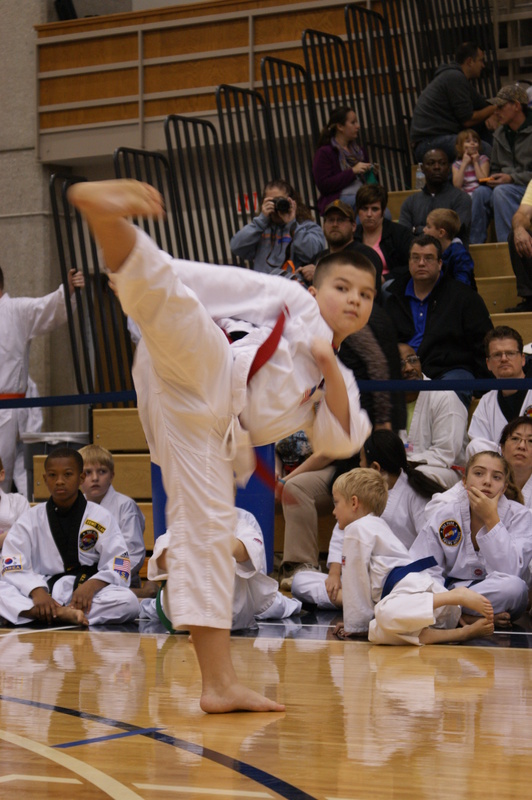 WCTKD and Lewis Institute Tae Park Tae Kwon Do Mid-South Tae Kwon Do Association had 16 students who won 30 medals in the events: forms (poomsae), sparring, power breaking and creative breaking. 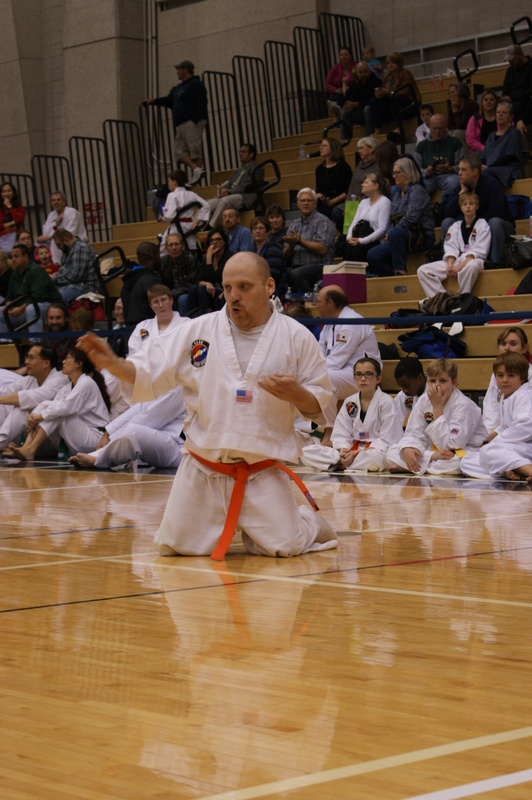 Other Master Instructors in attendance representing the Mid-South Tae Kwon Do Association were: Master Terry Warmath, Master Terry King, Master Betty Henderson and Master Dr. Said Nabhan who offered their expertise as ‘coaches’ to the participants. The group was led by Junior Grand Master Instructor Dennis Lewis. On Friday, June 22, opening ceremonies were held at the 5/3rd ball park with a wide array of the sports marching in the parade of athletes. This year there were 6,000 athletes in the events ranging from archery to wrestling with taekwondo being one of the major events. 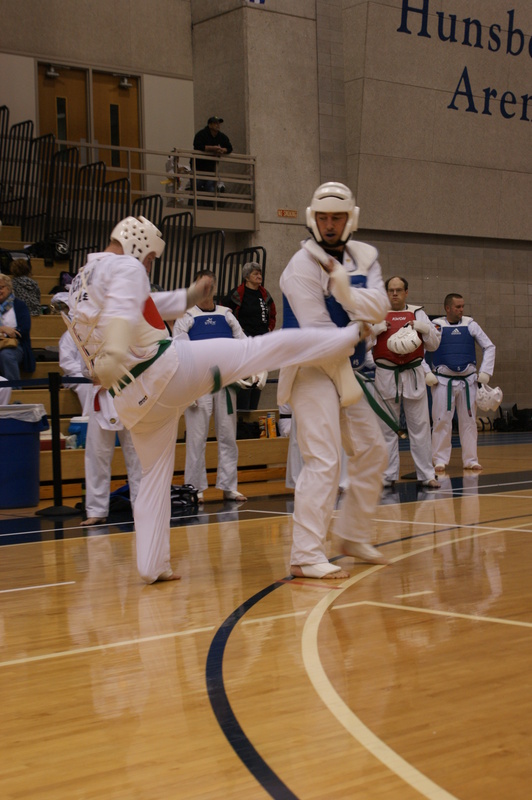 WCTKD is the Host organization for the taekwondo competition. Medal winners from State Games are qualified to enter the State Games of America Nationals held in Hershey PA this August. 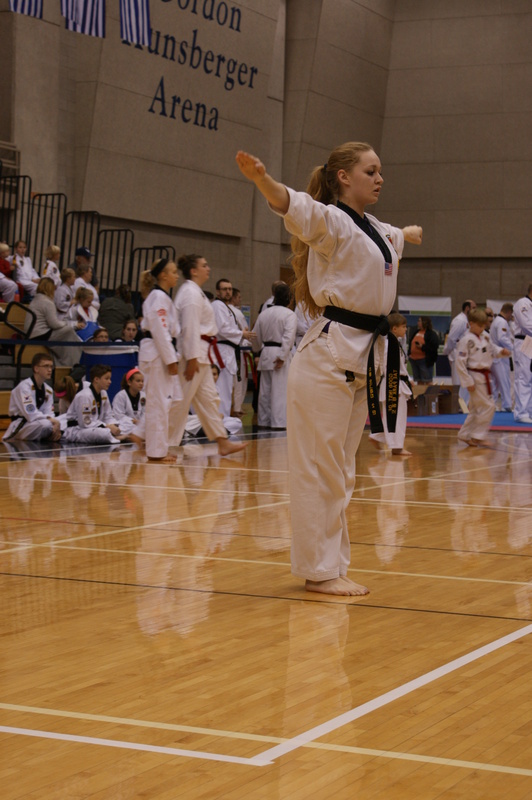 Saturday morning the athletes lined up and enjoyed a brief ‘creative poomsae’ demo led by Master Jessie Illif. assisted by Mr. Dan Duba and Master Lemon Williams in pulling this competition together. Junior Grand Masters Mark Good, James Rodgers. Thank you to Lu-Thuy Do for providing these photos. Registration is open for the State Games of Michigan! The fun will take place on June 21-22, 2013. Remember, anyone winning a medal is qualified to participate in the Nationals!! Your Instructors will have details. This is an exciting opportunity to meet and make friends with other organizations. Remember to register under your Instructors name. Thank you Junior Grand Master Rodgers for your long and dedicated service!! National Congress hosting of State Games of America to be held in Hershey, PA in August of 2013. If you or your studentsare interested in attending they can follow this link for more information. 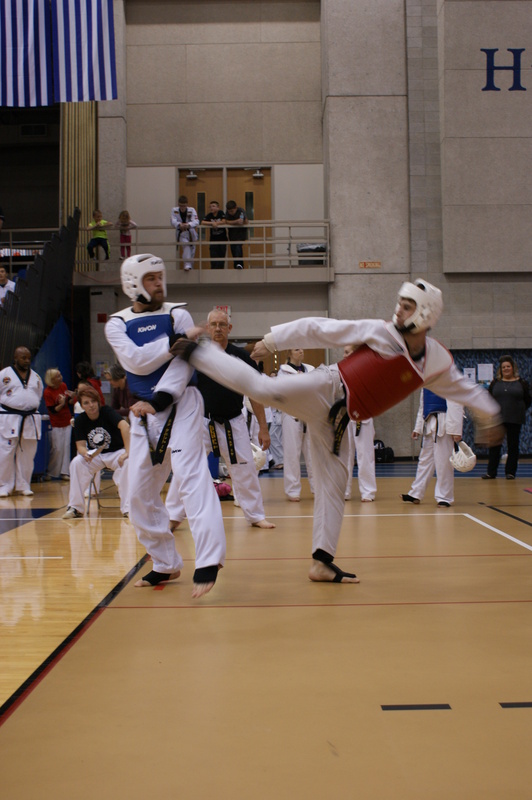 Taekwondo is scheduled for Sunday August 4th at the Farm Expo Center. If there is sufficient interest, there might be a group for travel. Remind you medat winners of this opportunity to compete. Click here to visit the State Games web site for more information. 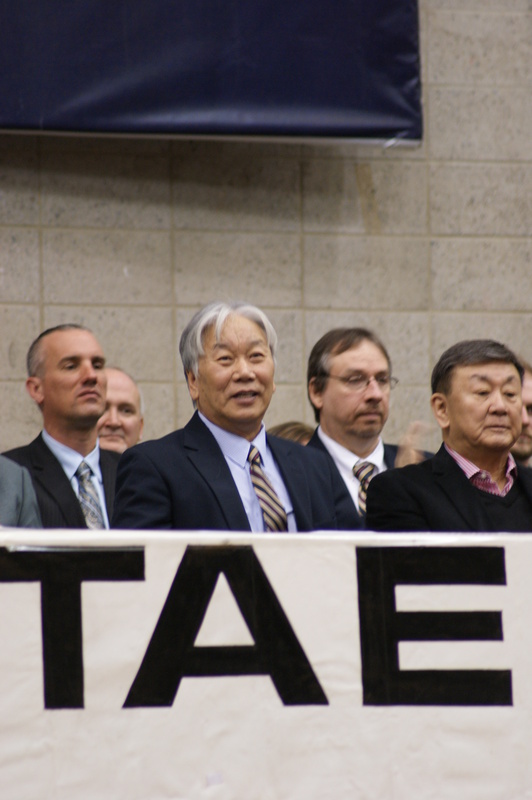 November 9, 2012 the annual World Class Tae Park Organization Black Belt testing was held in Grand Rapids Michigan. The evening kicked off with the Master testing held at the Marriott Courtyard and the judges being seated were: Grand Master Nam Suk Kim of Los Angeles CA, Grand Master Richard Warren of Jackson MI, Junior Grand Master Lynn Bernard of Pinedale WY, Junior Grand Master Mark Good of Comstock Park MI and Junior Grand Master Dennis Lewis of Union City TN. 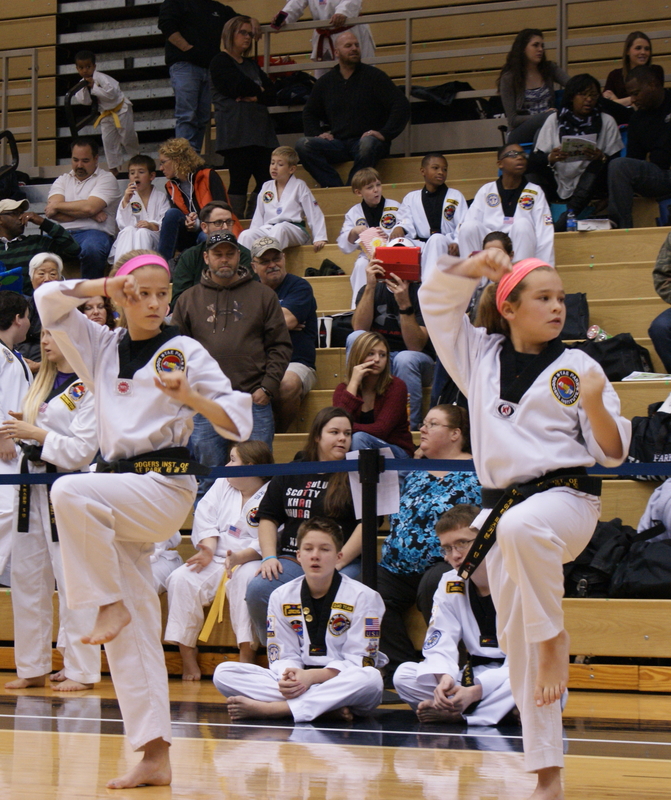 Following was the organization black belt testing held at Ford Fieldhouse where 104 black belt promotions took place. 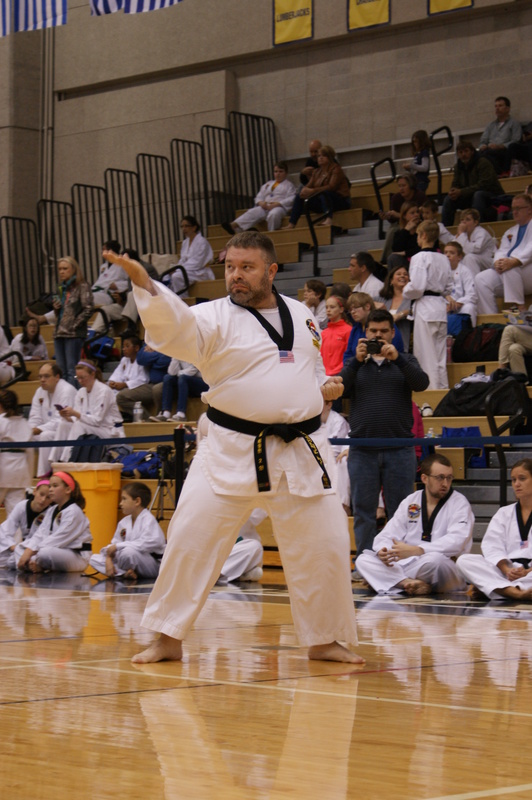 The event Director, Senior Master William Golombisky, with the help of Facility Director, Master Robert Klingbeil and Mr. Larry Feuerstein, set up areas for breaking, sparring and the poomsee portions of black belt testing. In conclusion, the crowd cheered for the new black belts who were then awarded their belts by their respective Master Instructors. 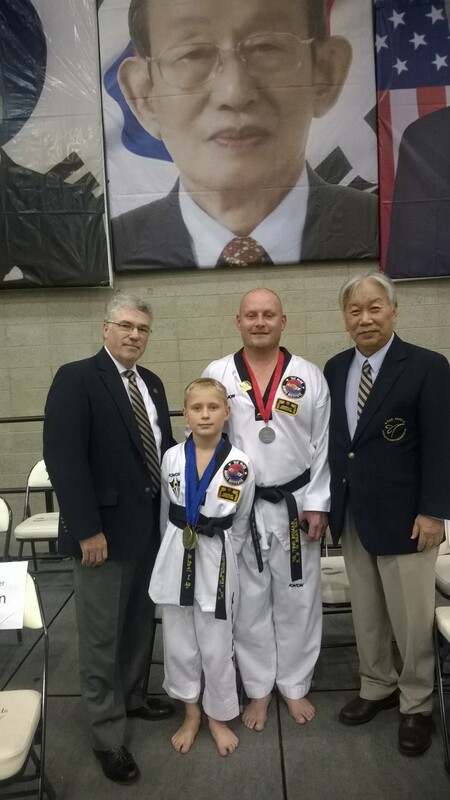 Tae Park Taekwondo promoted 77-1 Dan, 19-2 Dan, 8-3 Dan, 5-4 Dan Masters, 2- 5 Dan Masters, 2-7 Dan Junior Grand Masters, 1-Grand Master and 1 Honorary Black Belt. 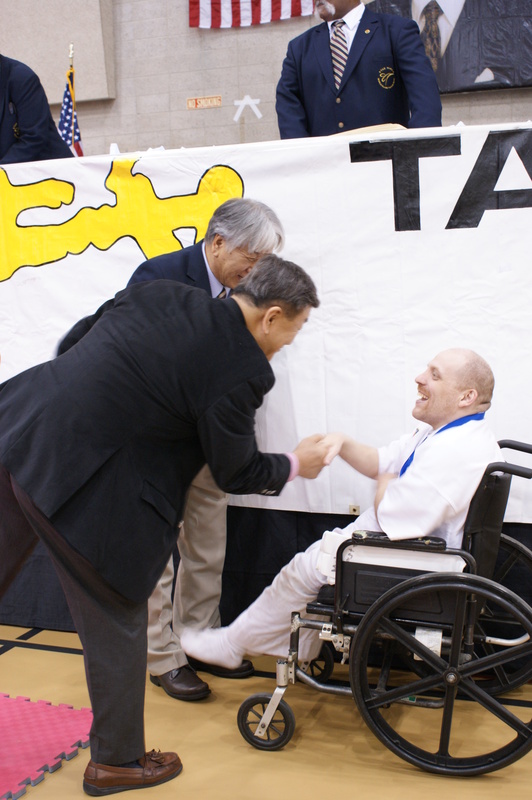 On Saturday, November 10, we celebrated the making of history for Tae Park Taekwondo with the belting of Grand Master Richard Warren of Jackson Michigan, 8 Dan! 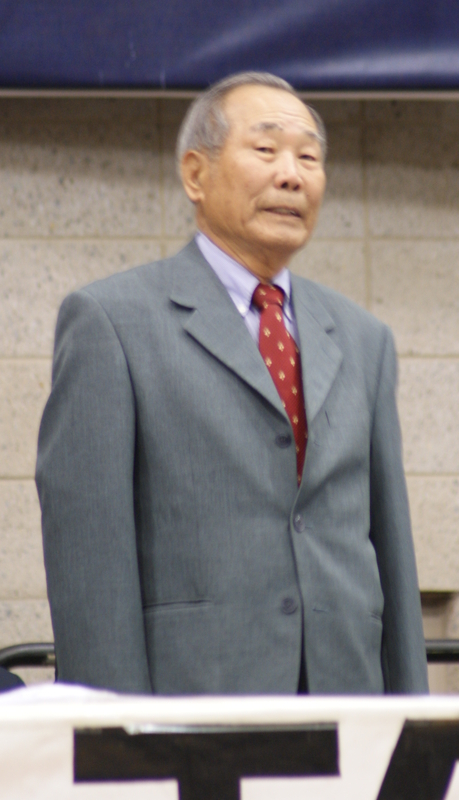 His testing took place back in August when he and Grand Master Park traveled to Seoul Korea. 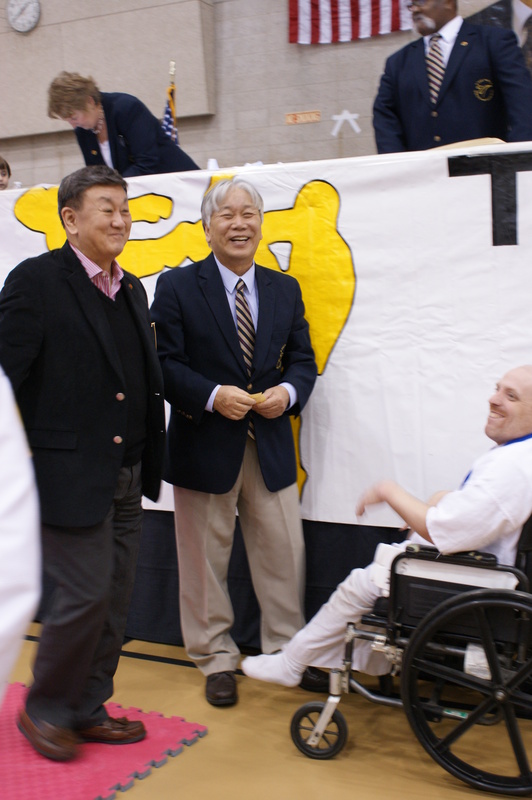 At the Kukkiwon, Grand Master Warren and Grand Master Tae Zee Park were welcomed by Grand Master Woon Kyu Uhm who was last years very special guest at this event. In addition: The belting of 2 new 7 Dan Junior Grand Masters: James Rodgers- Tournament Director, from Jackson MI and Dennis Lewis- Director of the Tae Park Taekwondo National Seminar, of Union City TN. 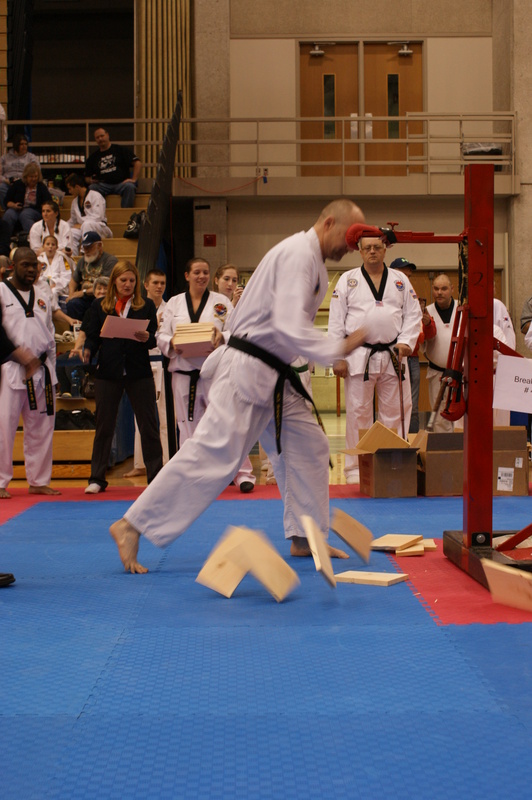 5 Dan Masters: Troy Eckert- Director of board breaking and team forms competition, of Crystal MI; James Heglund, Director State Games of Michigan-taekwondo and national liaison for Tae Park taekwondo, of Grand Rapids MI. 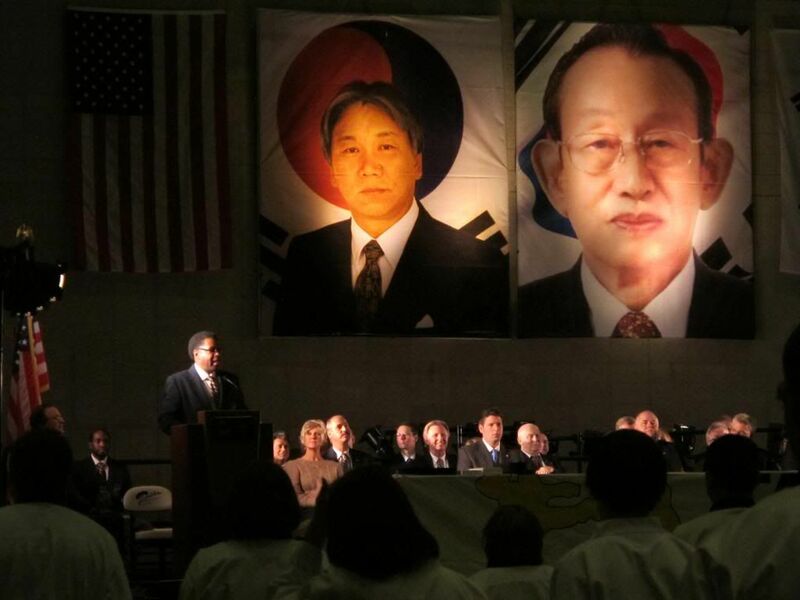 Special guests for this year’s ceremony were Grand Master Nam Suk Kim, who traveled from Los Angeles CA, and Senior Master Kris Flint of Kansas City, MO. On Saturday the 10th 456 participants lined up at 8:30 AM and prepared for the mornings special events which included viewing a demonstration ‘Masters Testing’ by new Master Instructors Ross, Nabhan and Williams. 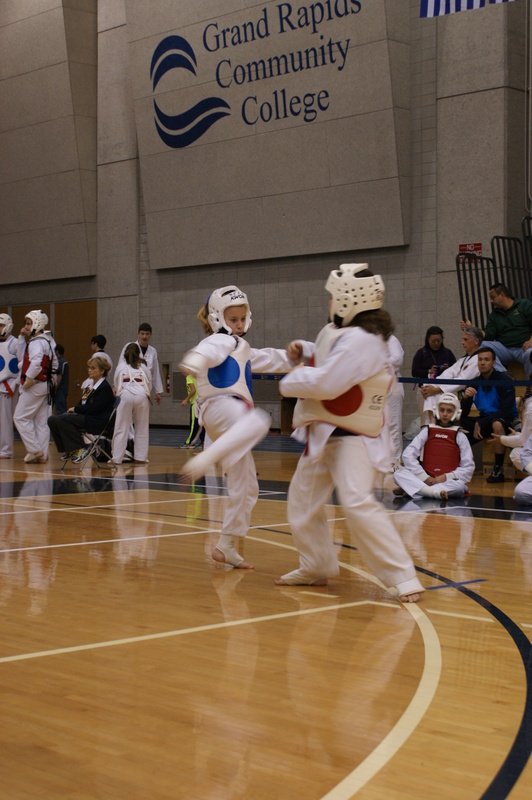 They each performed 2 forms and round-robin sparred with the final portion being board breaking. Next came the actual belting of the new Masters and the special gift giving from their family, friends and students. This year included the awarding of 4 scholarships from WCTKD announced by Scholarship Director Senior Master Constance Ensing and awarded by Grand Master Park with Gold Sponsor Ms. Pamela Osborn of Pinnacle Insurance and Master James Heglund Silver Sponsor of Heglund Sova Realty, Inc. Scholarship recipients were: Mr. Don Lee, Mr. Deane Zimmerman, Ms. Yoon-Gi Kim and Mr. Stephen Huff. In a very special tribute Ms. Pamela Osborn, representing Pinnacle Insurance, was also awarded an Honorary Black Belt in recognition of her generous and appreciated support of taekwondo and what it means to the youth it touches. 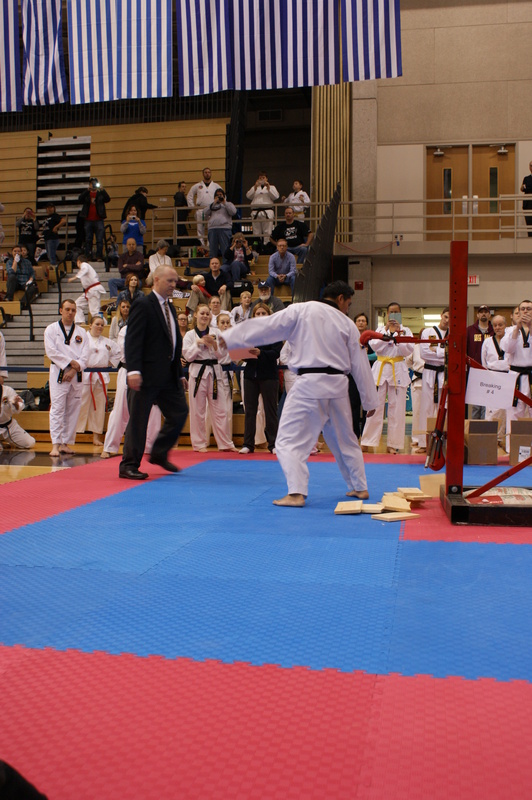 At the conclusion of the beltings, awards and special recognitions the tournament began with color belt events being first and ending the day with the black belt portions of the tournament. Medals were distributed at the Masters table by Junior Grand Masters Lynn Bernard, Junior Grand Master Mark Good and special Master Instructors. The event concluded around 6 PM. Following the tournament a Celebration Party was held at the Bluffs on 28th St where over 200 members of Tae Park Taekwondo gathered to eat, dance and share stories on the events of the day. Master Randy Wrona and his wife, Joelle Wrona were the hosts for the after party as well as the Director of Registration for the event. Many sad goodbyes were issued to the Wronas as they prepare to pass the torch of their duties and relocate to Iowa later this year. They will be dearly missed but it will signify the beginning of a new chapter in Tae Park Taekwondos expansion of Wrona Institute. Mr. Jason Berciunas, of Wrona Institute, offered his services as DJ and is hoping to step into the Registration Directorship in the coming year. Thank you to Mr. Ra and Lu-Thuy Do for providing these photos. The announcement was made for this years Tournament Directors this week! the New Levels of Master Instructors of Tae Park Tae Kwon Do. Very exciting indeed!!! Thank you Mr. Lemon Williams for providing the video. Prospective sponsors and advertisers can download obtain more information by downloading this form. 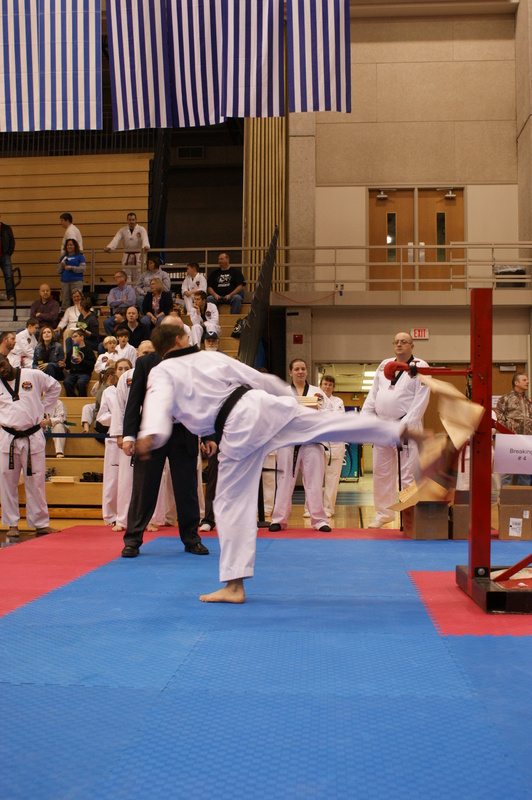 The Meijer State Games of Michigan will have it’s Tae Kwon Do tournament on June 23, 2012. For tournament information and rules, click here. Tournament registration information coming soon. 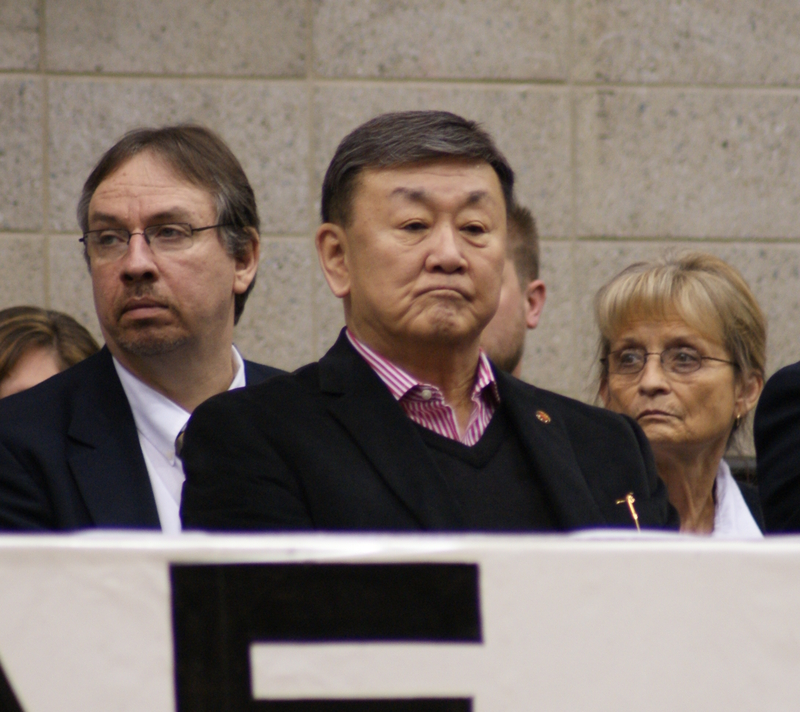 Kwan and former President of Kukkiwon and Grandmaster Tae Zee Park President and Founder of Tae Park Taekwondo.